Founded in 2016, GuesHu LLC is a one-person graphic design company. Over the last few years, I've enjoyed working for a very diverse client base. I have helped my clients deliver an efficient, clear and consistent message by creating their entire Visual Identity (logotype, business cards, letterhead, contracts), their Website (plain HTML-CSS like this site, Wordpress or Prestashop) or simple marketing materials (flyers, member cards, schedules, posters, signs...). Hard-working, with a strong business background, I adapt quickly to your specific needs and challenges. If you like what I do, and think we could work together, then get in touch. Your website is a chance to put your brand on display and tell your story. Whether it’s a simple landing page, a rich corporate website, a Wordpress site or an online store, I’ll take care of it. 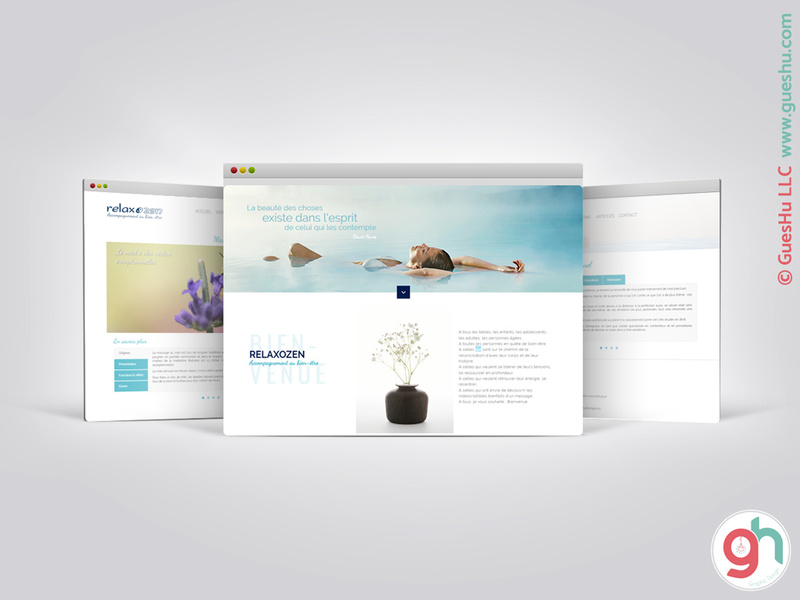 You’ll have a website that not only functions flawlessly, but is also designed with a great attention to details. 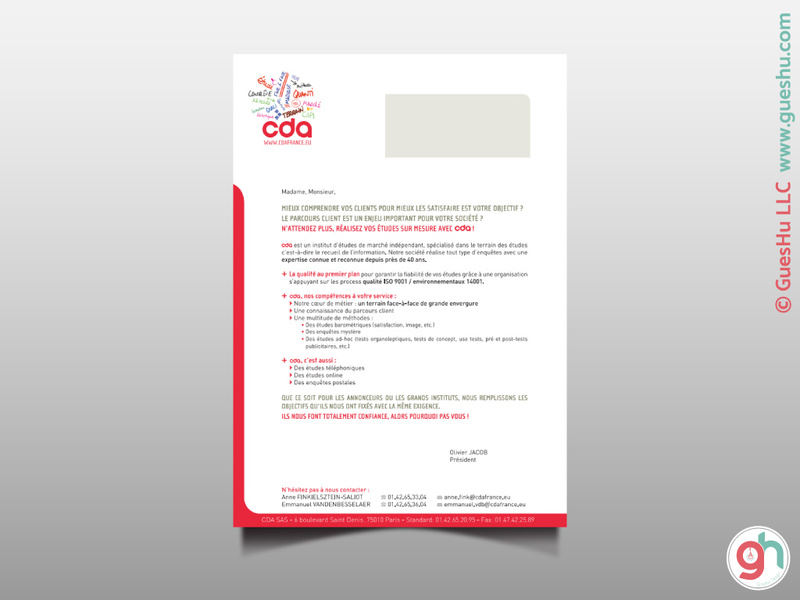 There are certain occasions where there is no match for a well designed document. Whatever the type of document you need, we’ll work together to design something inspiring that achieve your specific goals. 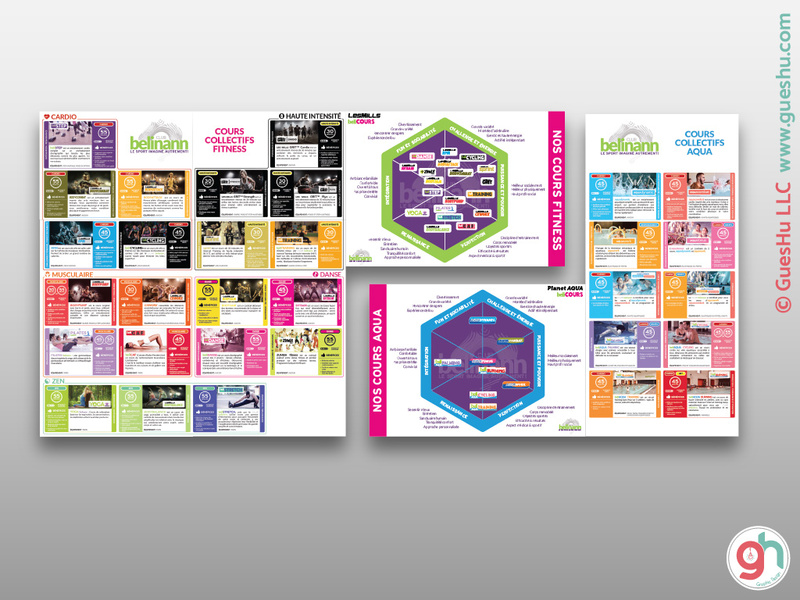 My job is to convey your company's unique story through colours, patterns and typography. I'll design your visual identity to be memorable, appropriate, consistent and versatile. We’ll work together to create a beautiful representation of who you are. 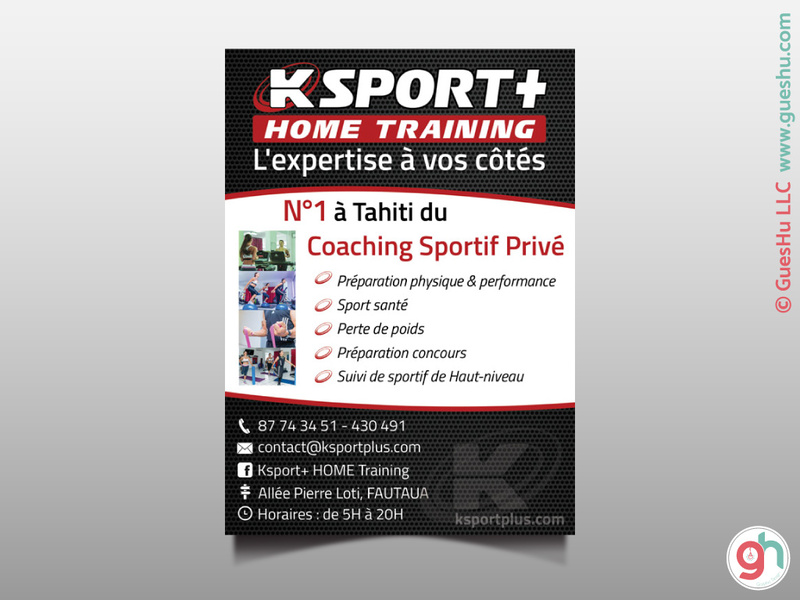 A website created for a personal coach in Tahiti, French Polynesia. 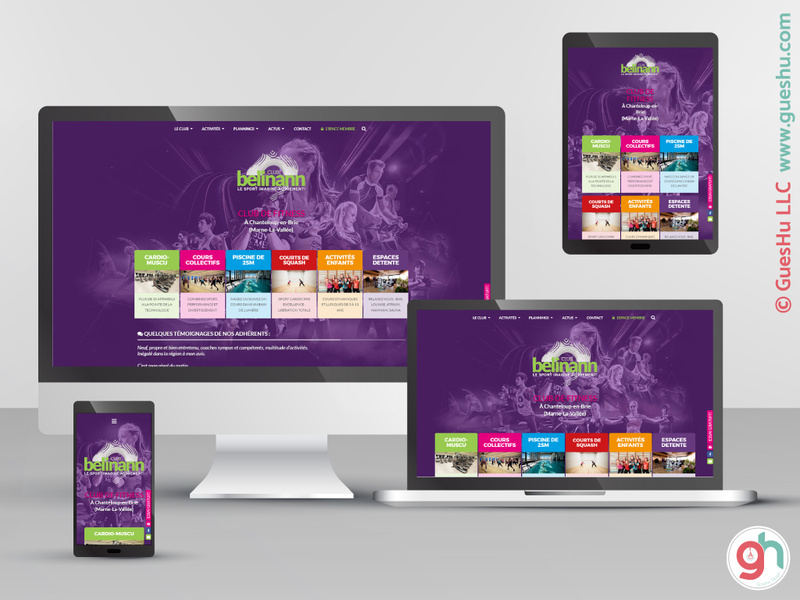 Using a CSS/HTML template based on bootstrap, this site is fully responsive and uses a "one-page design". 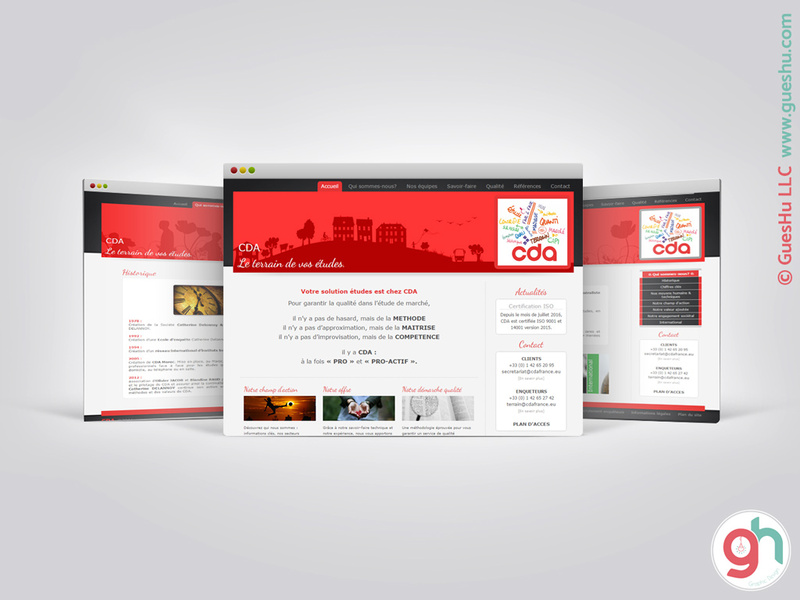 A website created for a market research company in Paris, France. 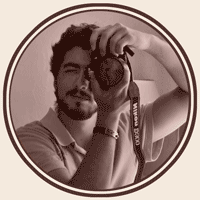 Created from scratch using CSS/HTML/PHP, this site has a lot of content presented in a logical manner. Its weight has been optimized and therefore its loading time is low. 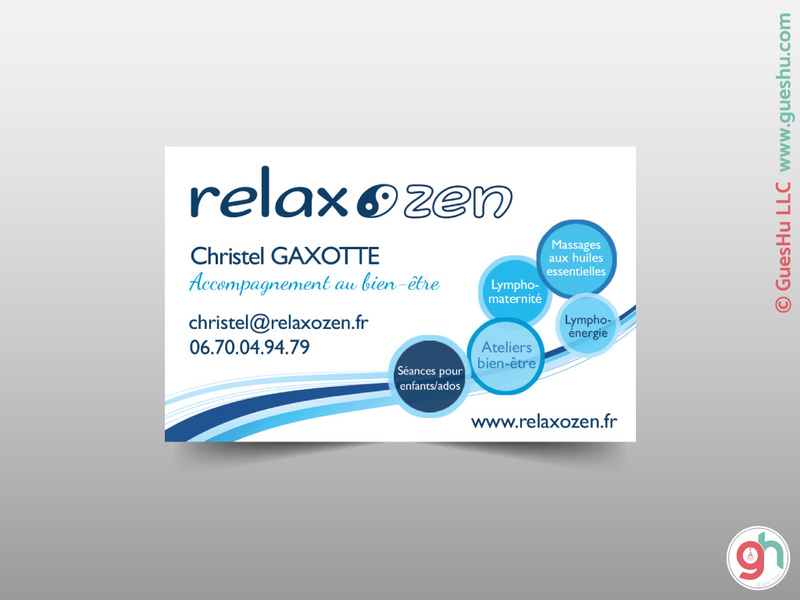 A website created for a wellness consultant from France. Using a Wordpress theme largely modified, this site is fully responsive. A special attention has been given to its design, using many photographs choosen by us to illustrate clearly and pleasingly the various sections. This website is the only jobboard in France specialized in the market research sector. 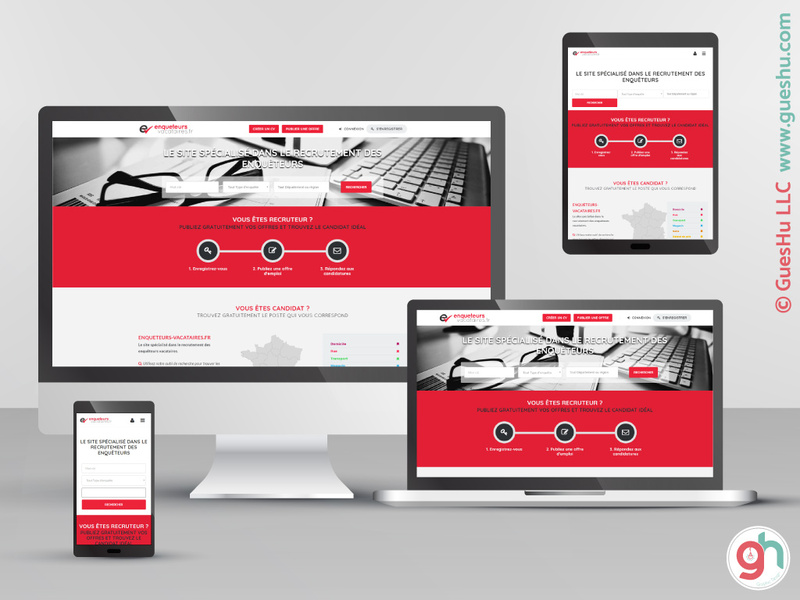 Using a Wordpress theme largely modified and completely translated from English to French, this site is fully responsive and has very advanced functionalities (candidates and employer profiles creation, resume and job offer posting, internal messaging...). The entire project has been managed by GuesHu from the Visual Identity to the launch campaign with a minimal client involvment. 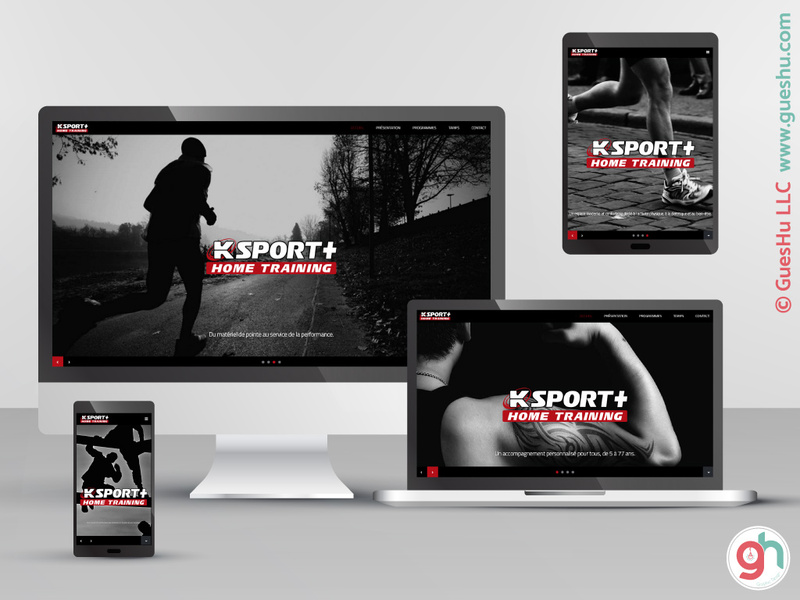 A website created for a high-end fitness center from France. 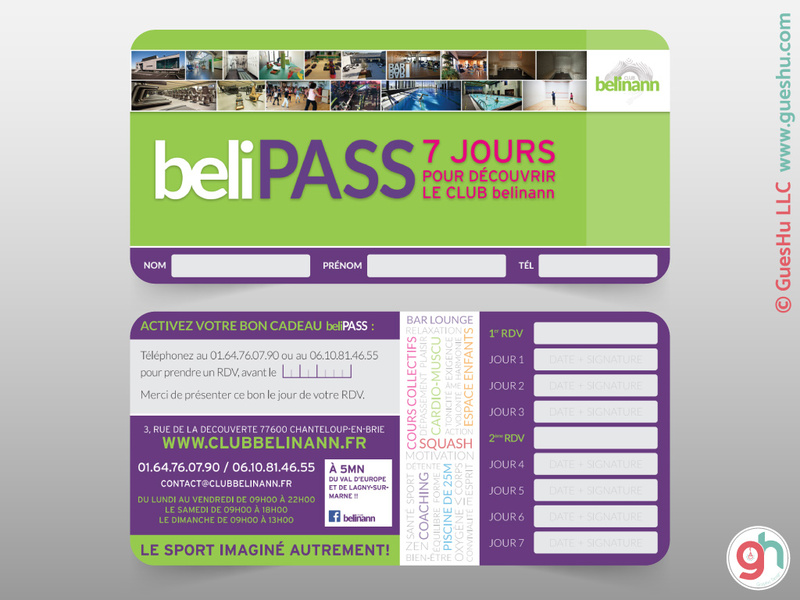 Using a Wordpress theme extensively modified and translated to French, this site is fully responsive. The class schedules is particularly attractive and powerful. GuesHu has redacted most of the content to minimize the client involvment. Advertising in two magazines in Tahiti. 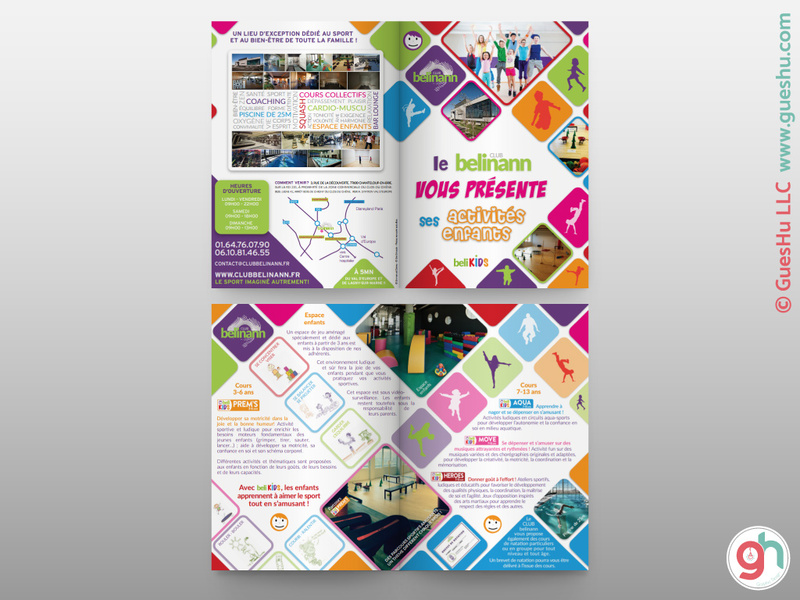 A brochure for a French fitness center describing its activities for kids. Colorful and fun, its visual characteristics are very different from this companies other materials, to target a different public. GuesHu had carte blanche to select the general layout, the visual elements and write the content, it was validated almost as-is by the client. 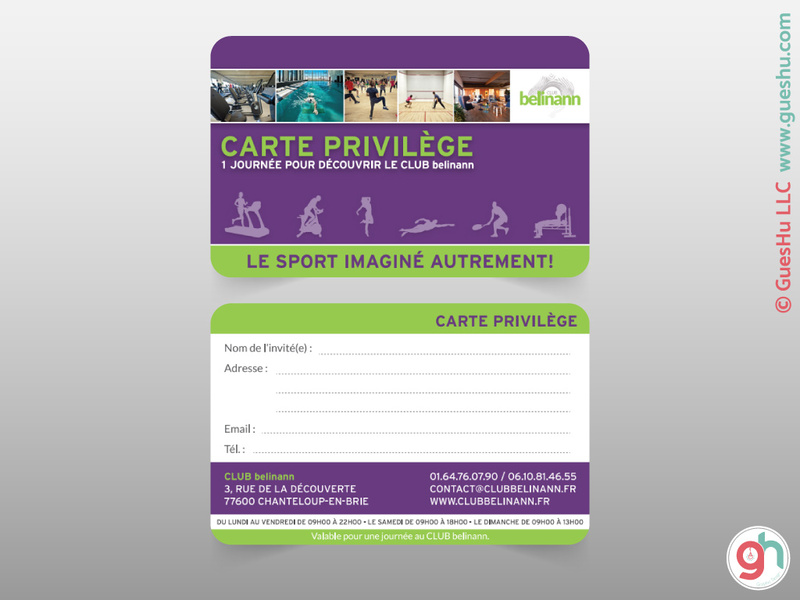 This fitness center needed 2 invitation cards to promote its children classes. The one for the youngest age group used a style similar to the borchure already created. The one for older children used a different, comics inspired, style. 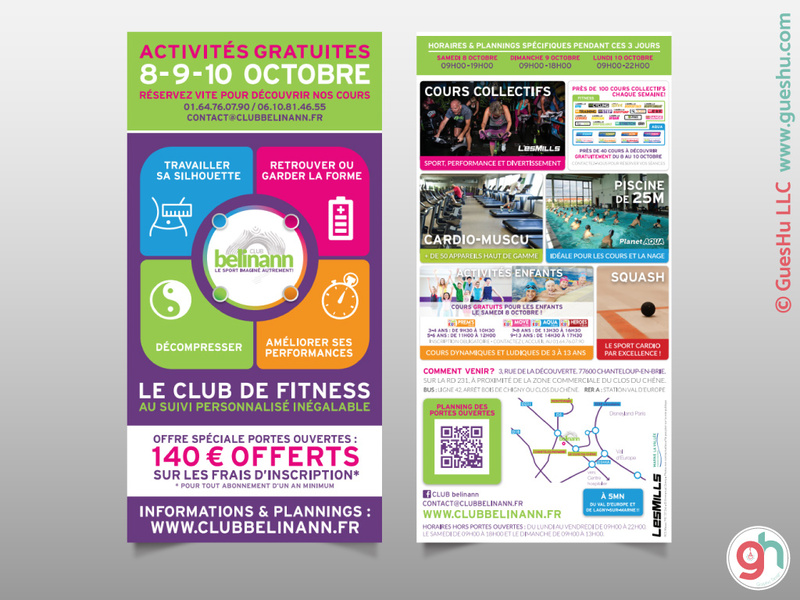 This flyer for a high-end French fitness center was sent by mail to promote a 3 open house days. 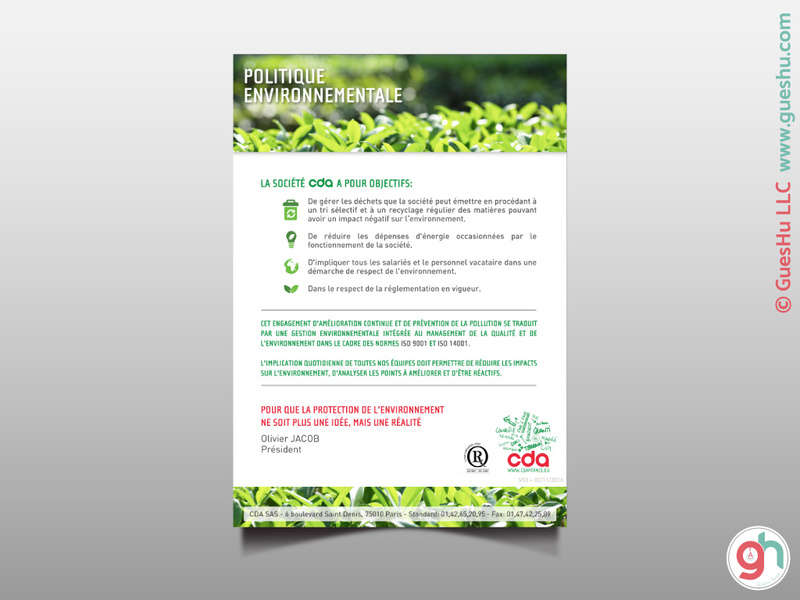 This A3 poster for a French market study company explains its environmental policy. 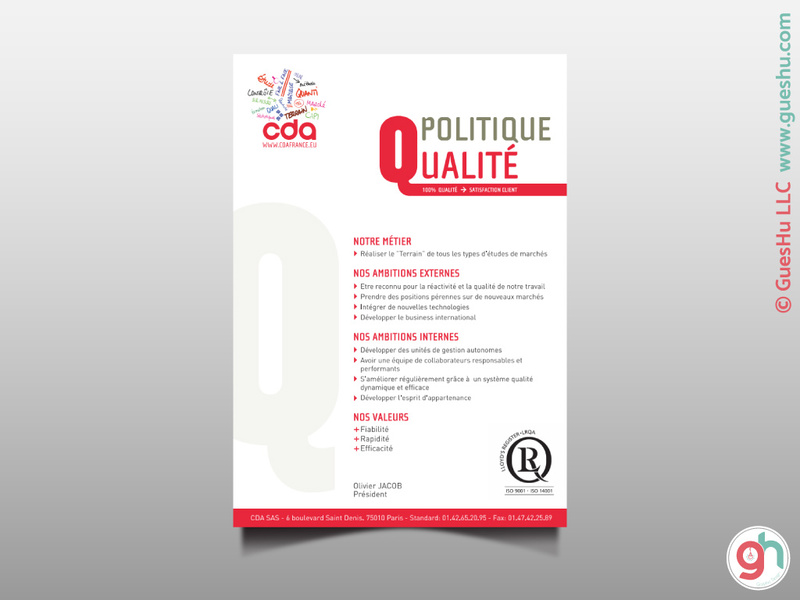 This A3 poster for a French market study company explains its quality policy. This gift card allows this wellness consultant to widen her customer base. GuesHu designed many marketing materials for this client in the last 2 years. 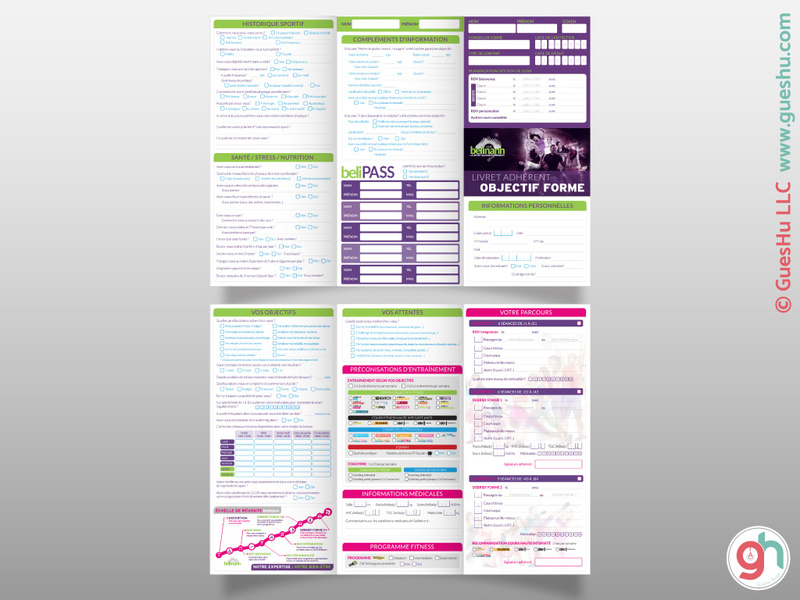 This 6 pages brochure presents the main strengths of this high-end fitness center. 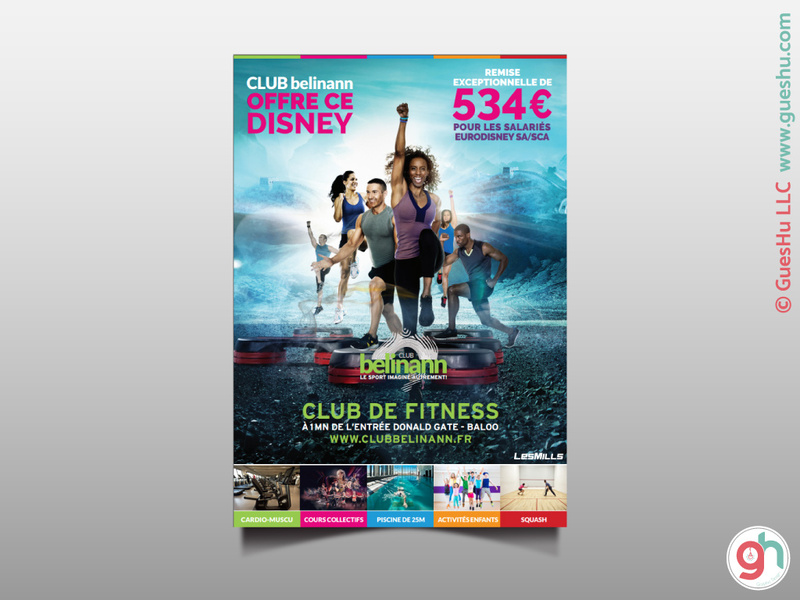 This poster was designed to promote a specific offer for Disney employees close to this fitness center. 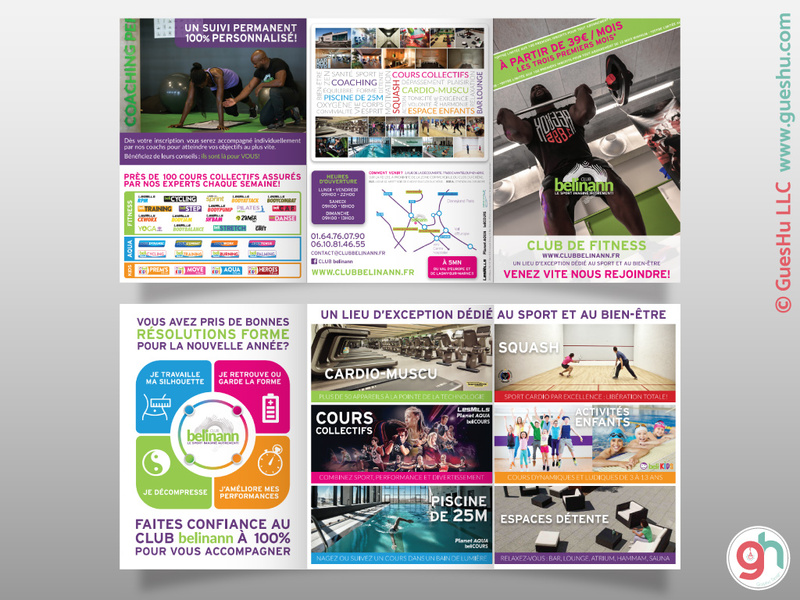 This flyer for a high-end French fitness center was sent by mail to promote a 3 open house days campaign. This mailing was designed to be perfectly coherent with the brochure attached. 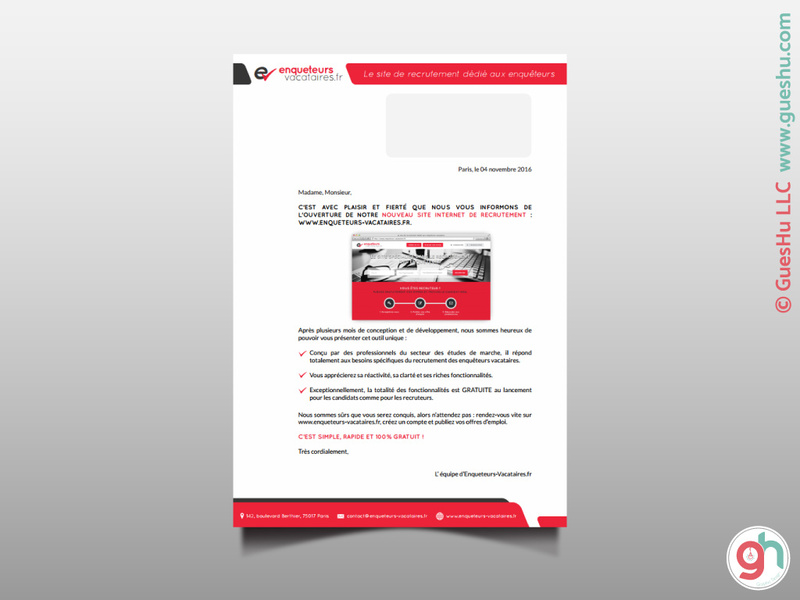 GuesHu had complete carte blanche to design and redact this letter to announce the new website launch. 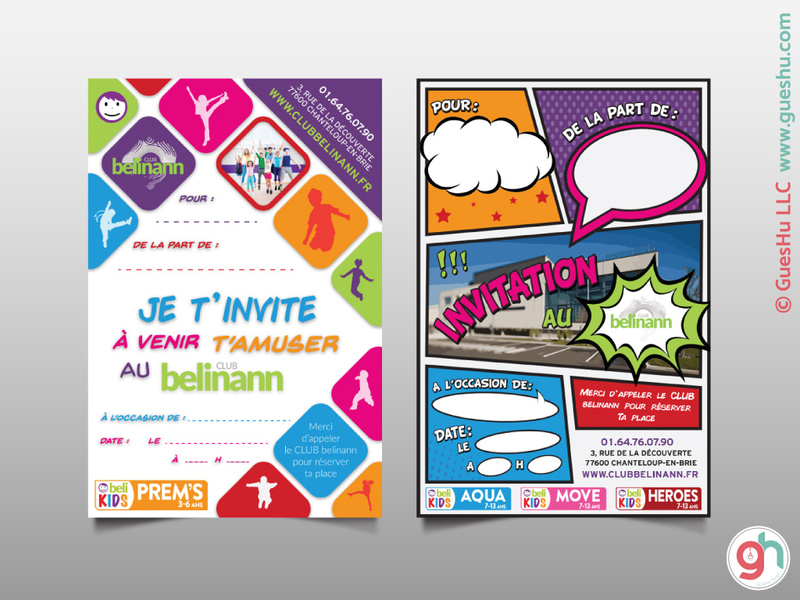 GuesHu created the entire visual identity for this new specialized online jobboard in France. 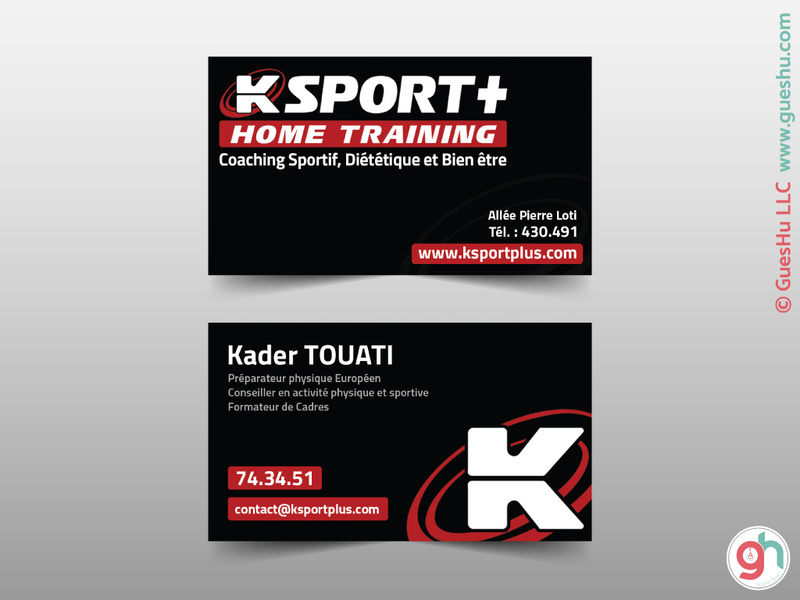 GuesHu created the entire visual identity for this new coaching business in Tahiti. 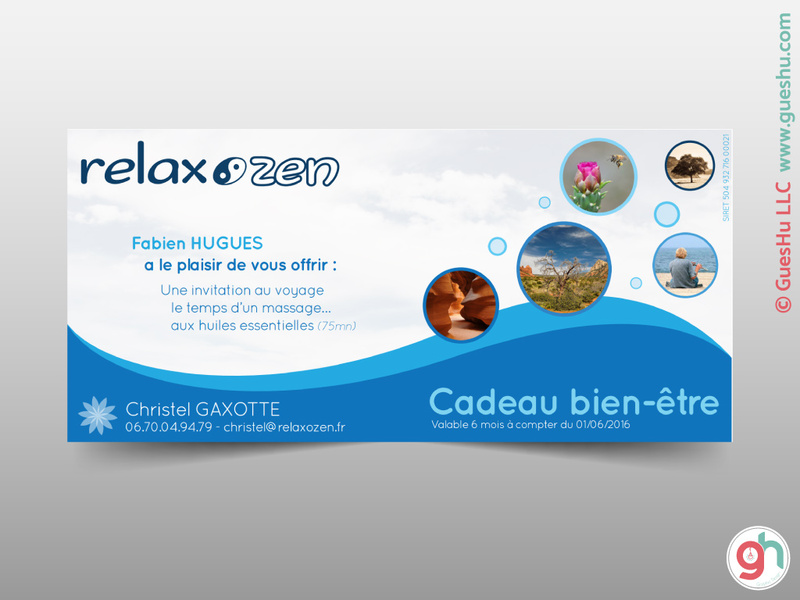 GuesHu created the entire visual identity for this French wellness consultant. GuesHu created about 15 logos for all the classes provided by this high-end fitness center. 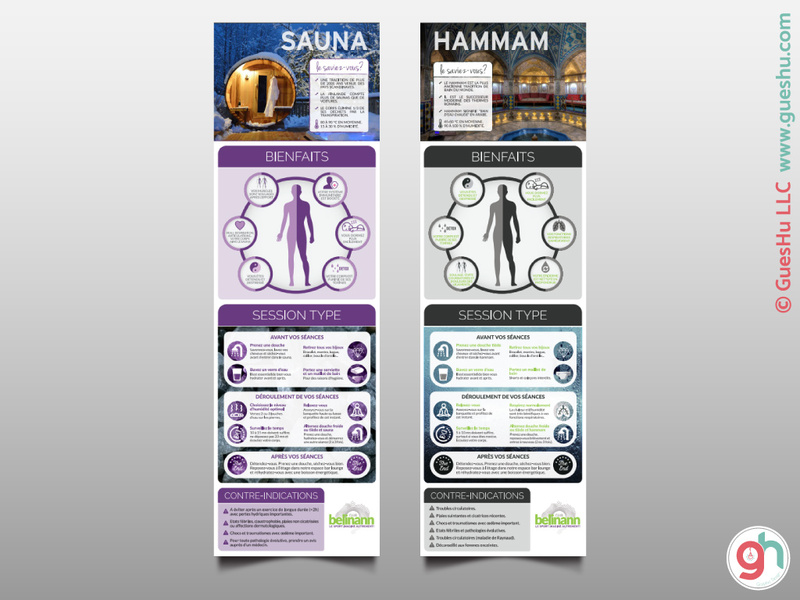 This high-end fitness center needed signage close to its sauna and hammam facilities to provide useful information to its users. GuesHu had carte blanche for the design and the content, minimizing the client's involvement. GuesHu modernized the contract form for this high-end fitness center, paying special attention to its complete practicality. This very detailed form allows to provide a individualized fitness program and follow the customers progress. It has been improved incrementally to provide a service unmatched by any other fitness center. This high-end fitness center provides many different fitness classes to its customers. A very detailed document had to be designed to help them make a selection specific to their needs. GuesHu designed it and wrote most of the content. 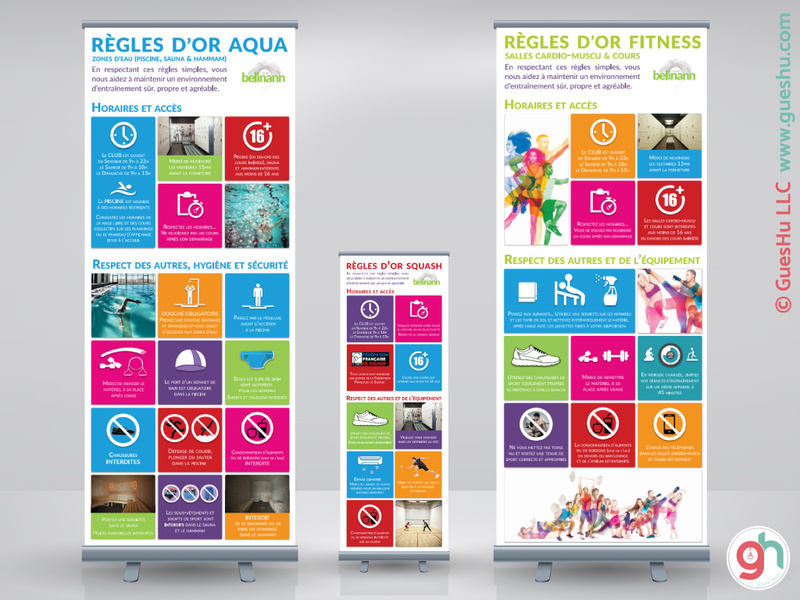 These tall roll-ups were designed to inform the customers of the rules applicable in this high-end fitness center. 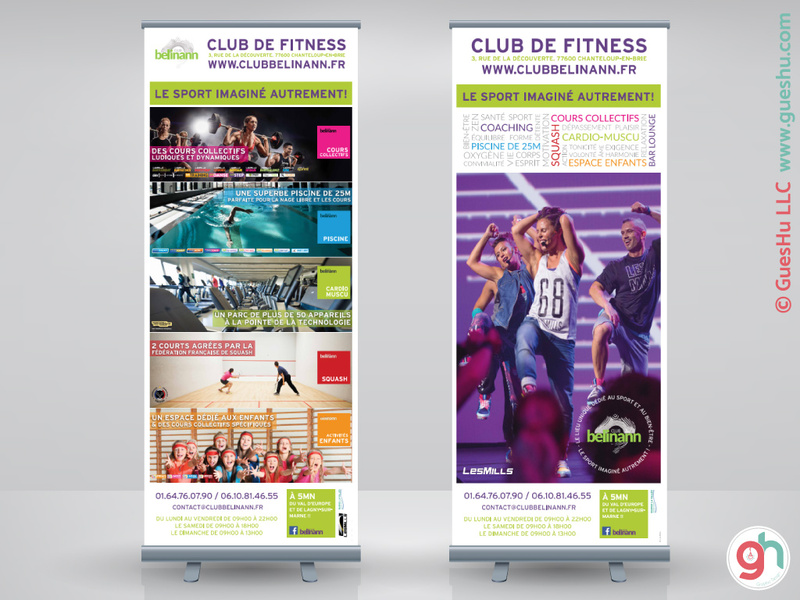 These tall roll-ups were designed to present this fitness center in various events and shows.